Selling on Ebay is really pretty straightforward, a few clicks, fill in some boxes, a couple of selections and kaboom your item is listed for sale on one of the worlds most popular marketplaces. 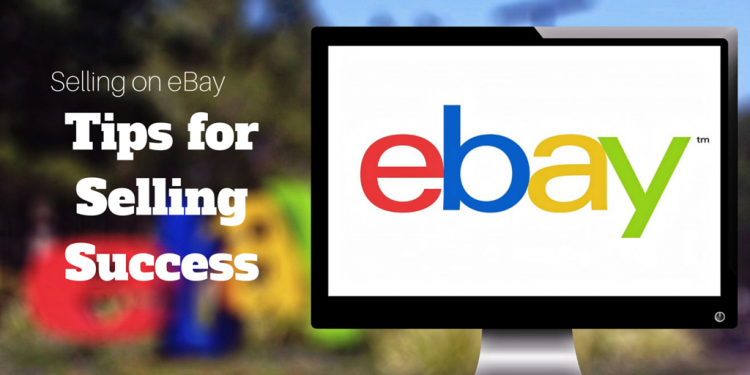 As simple as it is, there are still plenty of tips and things to watch out for when selling on eBay that could help increase the interest in your item and its final sale price. For those that are completely new to selling on eBay their Seller Education Centre is essential reading, and if you haven’t done so it’s usually worthwhile to try buying a few things to understand things from a buyers perspective. The first step is to check out items just like yours currently for sale on ebay, from this we can get an idea of how to put together the listing and what to expect price wise. Price Point: What prices are items selling for via auction and via the ‘Buy it Now’ option, if there are any listed. From this we get an idea of what to expect price wise and where to set a fixed price, if you’re choosing to use that option. If you can’t match the price of other ebay sellers you may be able to offer extra value in another way, lets say, extended warranty, hassle free returns or bundle the item with extras that add value. Also take note of what prices are being charged for freight. It’s worth noting that some items sell for close to cost price, and where do they make money you ask? On the freight, yep, some items are so competitively priced that profit margins are made on the postage and handling only. Some sellers use this technique to make their items appear cheaper than the next seller. Categories: what categories are being used for items like yours? Are there ebay categories where the item is not listed but may attract buyers? For example if you were selling golf balls you would list them under the special category for ‘golf balls’ but the ‘golf clubs’ category may just catch the attention of golfer checking out a new set of clubs. Extra categories can double the cost of listing so keep that in mind. Titles: Take a look at what other sellers are using for item titles and how much information they are including in there descriptions. Can it be done better; is there any thing they are doing that you should too? Check the creative descriptions used in the title field of what is exactly the same product, as underlined in red. Underlined in green is the use of the title field to illuminate added extras and extra value, in this case it is ‘product bundling’. Product bundling is commonly used for competitive, low margin products so as to create a different value proposition to the buyer. Consider how you might be able to use the title to make your listing stand out in the crowd. But steer well clear of being deceptive or misleading, and give using ‘WOW’ or “***LOOK***’ etc. etc. a miss as it really doesn’t tell the buyer much and if anything insults there intelligence! Descriptions: What did you see when looking at the item descriptions of currently listed items? Was there information missing that a possible buyer might want to know? Was there any extra facts that you could present about your item that may allay any buyer fears or concerns? This really is a key area, remember the person can’t touch or feel or see the item before buying so you have to provide enough information that removes any doubts about the items condition, usability and suitability for its intended purpose. People also appreciate honesty, don’t be afraid to point out any flaws or downsides, as not only will it avoid problems after the sale, but it also helps to remove buyer suspicions. Photos: How many photos are other sellers using, how well are they presenting the items in the photo, are they using a photo in the search listing (gallery photo)? If you can do it better, do so! Always use a photo in the gallery listing is my rule, as I rarely look at items that don’t have a photo in the listing when I’m buying! The photo above illustrates another search for Canon 50d but this time on the US version of ebay, notice the creative use of the listing photo to illuminate differing value propositions to get the buyers attention, no space wasted here! Use as many photos as is affordable in the listing itself also. Photos of an item do wonders for removing buyer fears and making them feel more confident about bidding on an item.This is especially vital with high dollar items like cars, laptops etc where you should be presenting the item from every angle. Use quality, clear photos – there are plenty of photography sites on the web that will help out with simple tips for better photos and the small investment of time is very worthwhile. Find some great tips here and here. Extra photo tip – if have some basic photo editing software make sure your images are 4×3 scale. This is so when ebay shrinks the image for the small pic on the listing page (which is 80 pixels wide x 60 pixels high) it wont look all stretched or squashed, instead it will look clear, sharp and hopefully catch the buyers eye! Freight: The Australia post site has a handy calculator for freight costs and best advice is to use registered post. Registered post provides confirmation of shipment if the buyer opens an unreceived item dispute with either ebay or paypal. A normal cash register receipt isn’t accepted as confirmation of shipment in these disputes. Many courier services also offer types of registered and trackable delivery options. Insurance is also worth considering if the value of the item justifies it.